Above & Beyond Recovery Center (www.anb.today) is offering a fantastic opportunity for a talented student filmmaker who would like to develop a marketing/educational video that could become a strong addition to his or her portfolio. 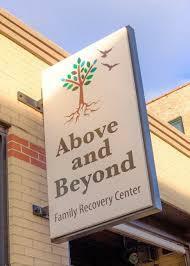 Above & Beyond is a brand new 501c3 walk-in drug and alcohol treatment center (located at 2942 W Lake Street) that provides its services 100% free to the homeless and severely disadvantaged residents of our city. The program offers a unique “vestibule” platform, wherein clients choose from a variety of treatment options, depending on their individual needs. These include 12-Step Recovery, SMART Recovery, Rational Emotive Behavioral Therapy, Art Therapy, Holistic Case Management, and Mindful Meditation. The nonprofit also offers life skills, such as case management, housing assistance and WERKforce employment services.